Saturday 27th April 1918: News has been received in Eaton Bray of two deaths, a prisoner and a wedding. 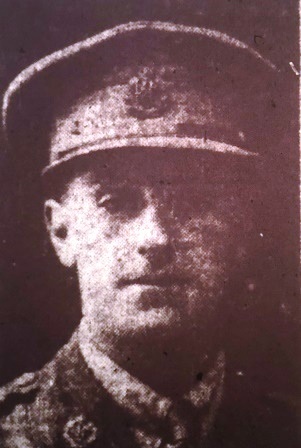 Mr. Lewis Ruffett has been informed that his son, Private Fred Ruffett of the Bedfordshire Regiment was killed on 24th March, only two weeks after returning from leave. Private Ruffett had enlisted under the Derby Scheme in February 1916 and was sent to France in April 1917. His brother lost a leg in France eighteen months ago. 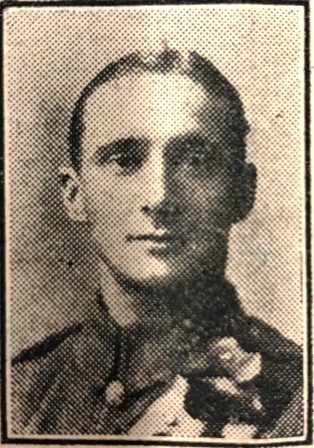 Corporal Charley Chanin of the Lancers was killed in action a day earlier, on 23rd March. Corporal Chanin enlisted at the beginning of the war and served in Ireland during the 1916 rebellion. The mother of Lance-Corporal William Neville has received a card from her son telling her that he is now a prisoner of war at Cassel, in Germany. He was the first man from the village of Eaton Bray to join up, in September 1914. Happier news comes from Canada, where Miss Annie Hebbes, the second daughter of Mr. J. A. Hebbes of Eaton Bray has marries Mr. H. G. Tice of Truax, Saskatchewan. The wedding took place at Moose Jaw, Saskatchewan on 22nd March. The bride’s brother, who has been farming in Alberta, Canada for some years was present. 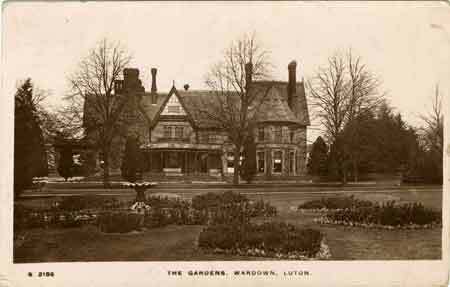 The new Mrs. Tice was formerly the assistant matron at Leighton Buzzard Workhouse. Thursday 25th April 1918: There is much sympathy for Mrs. W.A. Smith of 91 Church Street, Luton, who is undergoing a double ordeal of grief and anxiety. Her husband, Private W. A. Smith, has been serving with a machine gun corps in France and was last heard from on March 18th. Private Smith’s father, who lived at 47 Vandyke Road, Leighton Buzzard was then dangerously ill, and the police wired to Private Smith to try to get him leave. However he had still not arrived by April 12th, when his father died, and just a few hours later news arrived that Private Smith was wounded and missing. Nothing further has been heard, and Mrs. Smith would be grateful for any further information. Her husband has been serving in the army for two years. 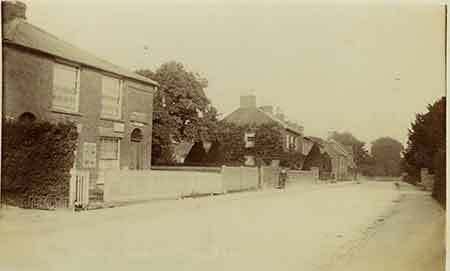 Much better news has been received in Dunstable, where friends of Private L. H. Durrington of Messrs Durrington and Sons, High Street North. Private Durrington, who was serving in the Royal Fusiliers, has been a prisoner of war in Germany for five months. It was known from letters and cards received that he had been wounded in the leg but there was nothing to suggest he was likely to be released. Last week the news arrived that he had been repatriated and was in King George’s Hospital, London. Tuesday 23rd April 1918: A Linslade woman heard yesterday that her husband had been buried alive inside a dug-out and had been reported as a casualty. Very shortly afterwards a neighbour arrived with a note from the soldier husband tied to a spoon; this had been dropped from a hospital train and found by a railway platelayer who was a near neighbour. 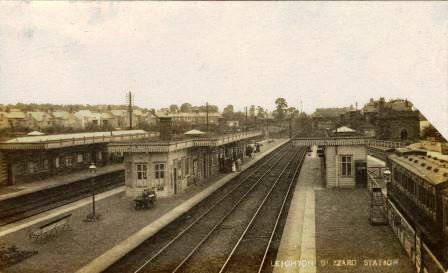 Although he did not know his destination, realising that the train on which he was travelling would pass through Leighton Buzzard station the soldier had taken this unorthodox opportunity to send news to his wife. 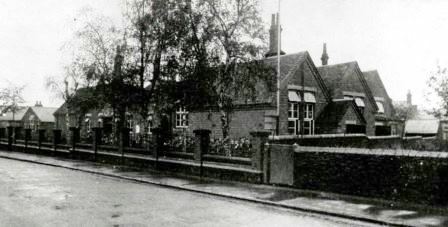 Friday 19th April 1918: Bedfordshire Education Committee has received a report that the number of scholars registered in the fourth and fifth classes at the Leighton Buzzard Boys’ Council School is more than sixty, the maximum permitted in a single class. The school managers, after discussion with the headteacher, have submitted that the class sizes are unavoidable and have been caused by the number of children who have arrived in the town from air raid areas. As these children had already been attending fourth and fifth classes in London they had to be put into the same classes in Leighton Buzzard. On 28th May last year there were 63 pupils in class four and 67 in class five, and on October 10th classes three, four and five all had more than sixty scholars. It was accepted by the Committee that the headmaster, Mr. Currie, had arranged things in the best way possible – to put pupils into classes for which they were not suited when the large numbers were only temporary would have been absurd, and the headmaster could not refuse admission without reasonable grounds. The Education Committee therefore decided to inform the Board of Education that they believed that in the circumstance this temporary breach of regulations was fully justified. This means that within the last six months Captain Bulman has been mentioned in dispatches, awarded the Military Cross, promoted to Captain, and has now been awarded a bar to add to the Military Cross. Captain Bulman is serving in France with the Royal Air Force as Flight Commander of a squadron. Thursday 11th April 1918: An application for the eviction of soldier’s wife has been heard at Leighton Buzzard Police Court this week. The court was told that Samuel Chibnall bought two houses in Vandyke Road in 1917, a four-roomed house for his own use and an eight-roomed one. As he was unable to find tenants for the large house he moved into it and let the smaller one. He recently decided to sell the larger house for financial reasons, and now wants to live in the small property. He had therefore served notice to quit on the tenant, Mrs. Laura Breden. He had let the house to her on the understanding that it was likely to be sold, and before he decided to sell the larger property he had heard that she intended to move to be nearer to her mother. He knew that Mrs. Breden’s husband was fighting in France, and that she had two young children, so had given her a fortnight’s notice even though she was only a weekly tenant, paying four shillings a week. He had also offered to sell the house to her and her husband, but they were not able to buy it. Mrs. Breden said she did not know the house was for sale until she had lived there for some time. If she had known, she would not have taken the tenancy. 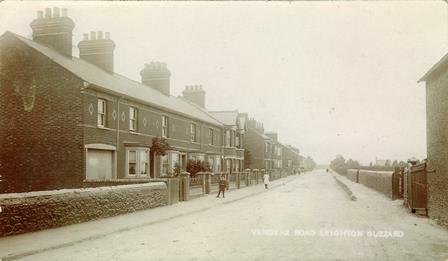 There was a shortage of houses in Leighton Buzzard due to the large number of men coming to the town to work at Morgan’s, and it was impossible to get another house. Her solicitor asked the court to dismiss the notice to quit – under the Courts Emergency Powers Act the court had absolute discretion to do so. Mr. Chibnall had sold his house over his own head and now wished to turn out of her cottage the wife of a man who was serving in France. The magistrates however made an order that Mrs. Breden should give up possession of the house in two calendar months. 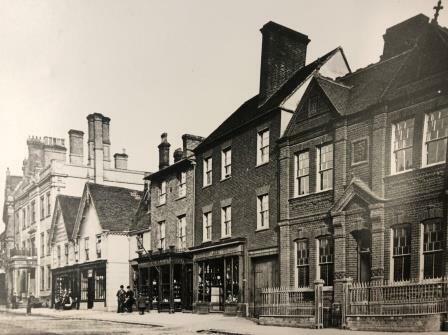 Tuesday 9th April 1918: An unusual case was heard today at the Leighton Buzzard Petty Sessions court, where four defendants were charged with selling sweets at prices exceeding those allowed under the Sugar (Confectionery) Order 1917. 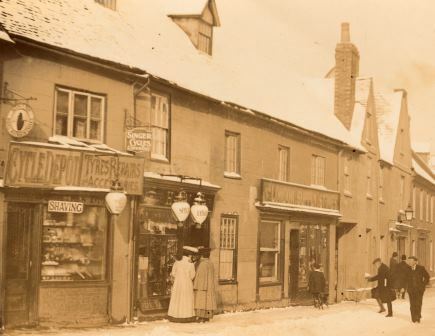 Joseph Wood of Messrs Garner, Wood and Company, Leighton Buzzard, was said to have overcharged Superintendent Matthews for fruit bonbons on March 28th, Susan Parsons and Mary Read for toffee on March 30th, and Oliver Osborn for sugared almonds, also on March 30th. All four pleaded guilty. Superintendent Matthews said that while the Order had at first been strictly observed, a number of shopkeepers had raised prices and overcharging had now become widespread. Mrs Osborn [sic] said she had put her prices up because the wholesalers had charged more. Joseph Wood was fined £1 and the other three defendants ten shillings each. Sunday 7th April 1918: This weekend has seen the Bedfordshire Motor Volunteer Corps taking part in a highly successful camp. The Corps was formed about three months ago, and this is the first time they have paraded as a whole. The Corps is divided into four local sections under the overall command of Captain Frederick Ray: Bedford; Luton; Biggleswade and Sandy; Dunstable and Leighton Buzzard. The camp has been held in the west end of Kempston at Rushey Ford Farm, which was purchased by Captain Ray last September. The units reached the camp on Friday evening and enjoyed a fine, but cold, night sheltering in either covered vans or a large barn. In the morning hot cocoa and a biscuit were served at 6 a.m. before the Corps paraded for a short march and physical exercise. After a day of parades an excellent evening concert was held in a barn. A toast was given to “The Officer Commanding” who congratulated the Corps on their excellent attendance, despite the camp causing many of them to give up their most profitable day’s work of the week. He particularly commended the Biggleswade section, from which 43 out of 45 members were present. After settling down for the night a successful emergency mobilisation was staged. Within three minutes of the alarm sounding the men were on parade, and in a few more minutes the transport vehicles were on the move through the darkness. This morning the Corps attended a church parade in front of the house. Training carried on over the weekend has included mechanical training and lectures in map reading for dispatch readers. Thursday 4th April 1918: Mr. Frederick Budd of 54 Lea Road, Luton, has heard that his son, Lance-Corporal Frederick V. Budd of the Royal Munster Fusiliers, has been badly gassed and is now recovering in a Scottish hospital. Lance-Corporal Budd is a regular soldier who joined the Connaught Rangers seven years ago. At the beginning of the war he volunteered to serve with a cyclist corps in dangerous conditions. 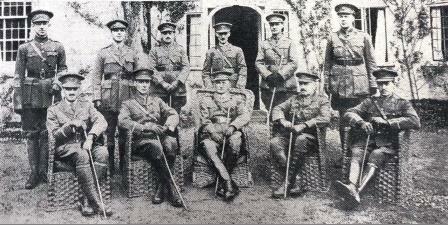 Although his corps suffered high casualties he survived the retreat from Mons safely. He served through the Irish rebellion, then returned to the trenches. He suffered two slight wounds, and a more serious wound to the knee from a shrapnel shell last October. Very few of the Old Contemptibles who fought at Mons are still on active service. Emperor Wilhelm II was reported to have called the British Expeditionary Force of August 1914 a “contemptible little army”. 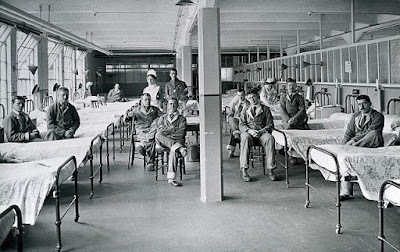 Hearing this, survivors of the early battles took to calling themselves the Old Contemptibles. No light is to be allowed in shop fronts unless approved by the police as necessary for serving customers inside the shop, or to illuminate a small sign indicating the shop is open. 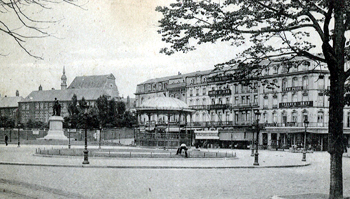 Inns, hotels, restaurants, and other public eating houses are not to provide hot meals between 9.30pm and 5am, with the exception of railway canteens, meals served to travelling soldiers and sailors, and certain private canteens. No gas or electricity is to be allowed in places of entertainment between 10.30pm and 1pm the following day, except for cleaning and rehearsals to which the public are not admitted. The “five-sixths restriction” on gas and electricity applies to London and a number of other counties including Bedfordshire. This states that “No person shall consume or cause or permit to be consumed in any one quarter of a year on any premises of which he is the occupier more than five-sixths of the amount of gas or electricity which was consumed on the same premises during the corresponding quarter of the years 1916 or 1917, whichever was the greater”.